The Freemasons have changed the history of the world. Their belief in liberty and equality for all people profoundly affected both the French Revolution and the founding of the United States, as evidenced in part by the symbols on our currency. In The Arcana of Freemasonry, first published in 1915, symbol expert and renowned author Albert Churchward traces and reveals the history of this very secret order. Churchward weaves a tale of Masonry's origins in ancient Egypt and its continuance through history--all told via Masonic symbols and symbolism. From Egyptian history and Mayan relief work through Greek mathematicians, philosophers, and metaphysicians, Churchward traces the development of the most basic symbols of Freemasonry. He also reveals the hidden symbolism found in the signs and tools of modern Freemasonry and helps readers find hidden meanings in all areas of life--rom art and architecture to geometry and poetry. With current novels and movies leaning heavily on Masonic mysteries as plot devices, readers will be especially interested in the more arcane symbols and the stories they tell. 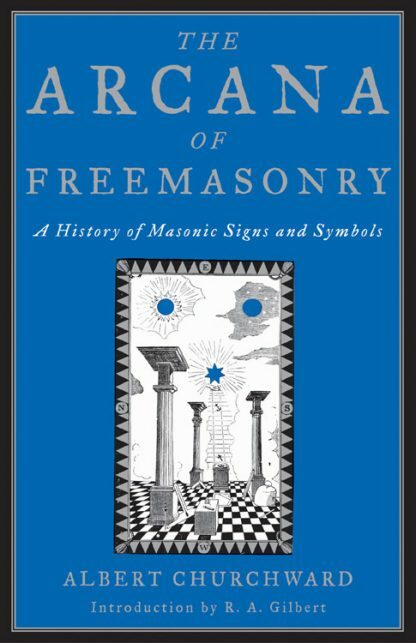 This book contains more than 100 illustrations of Masonic symbols, from earliest recorded to those used today.